Are you planning to remodel or renovate your older La Vernia home? Maybe you are moving into a new (to you) home that you’d like to update or renovate to suit your specific tastes. Trying to find a reliable home remodeling contractor in La Vernia, Texas can be a challenge. There are many who don’t even take the time to return their phone calls, which leaves you continually searching for a professional contractor you can trust to complete your project properly. 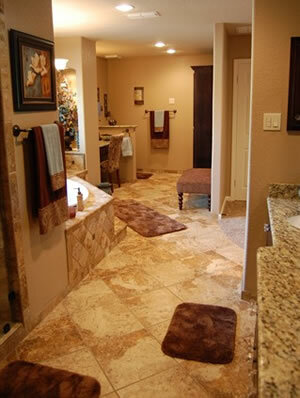 Lonestar Home Solutions is a full service home remodeling contractor serving La Vernia, Texas. We specialize in home remodeling and handyman projects of all sizes for homeowners in the La Vernia region. One of the unique aspects of our company is that our owner (Carlos Moreno) is a graduate engineer. This gives us a unique perspective from both an engineering and design standpoint when we work on your projects. Familiar with 3D sketching and design programs Carlos and his team work with 3D computer models of your project so you get a better visualization of your design. Not every contractor can offer you this unique service. Your kitchen is probably the heart of your home, it brings everyone together and acts as the social hub in most households. If you’ve been living with and cooking in the same kitchen for the last 10-15 years don’t you think it’s time for a change? Would you enjoy a little more space or maybe some more modern decor and amenities? 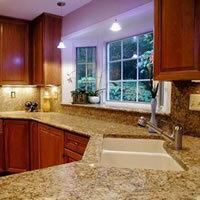 Remodeling your kitchen will be a fun and exciting project that will give you more enjoyment out of your home. If you love to cook or entertain then a kitchen remodel would suit your lifestyle perfectly. 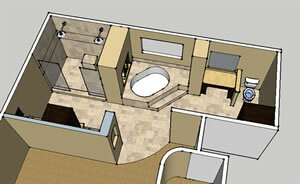 For many homeowners the bathroom offers the most bang-for-their buck when it comes to home remodeling projects. Everyone loves a beautiful bathroom and with modern materials and design you too can have a bathroom that looks like it should be in a magazine feature. 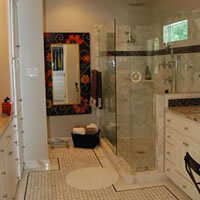 Beautiful tile or stone showers, custom tile flooring, new vanities and even converting your tub into a new shower. Another popular project that is quickly gaining popularity are aging-in-place bathrooms or bathrooms with accessibility in mind. When you need to add more space to your home and a basement remodel is not an option then you should consider a home or room addition. From a simple bump out breakfast nook in your kitchen to adding another 1000+ square feet of space an addition onto your home may be the best option for you. There are many small construction projects that could enhance your property such as a custom built deck, pathways, retaining walls, outdoor patios, outdoor kitchens and outdoor cooking areas. Lonestar Home Solutions can work with you to design and build a beautiful new addition to your property. Lonestar Home Solutions is a local remodeling contractor based out of McQueeney, Texas who specializes in home remodeling and home improvement projects. From renovating your bathroom, to building a new deck, to finishing your basement and everything in-between Lonestar Home Solutions can complete your project start-to-finish. When you choose Lonestar Home Solutions to complete your home remodeling project you’re partnering with a team of professionals with decades of combined building, construction and remodeling expertise. If good service and quality craftsmanship are important to you then you need to request your estimate from Lonestar Home Solutions Today! "We called Carlos to remodel our vacation home in McQueeney, Tx (near Seguin, tx). 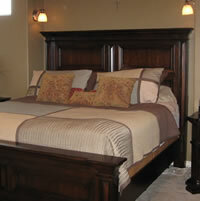 One of the best remodeling companies that we have delt with . He is very detailed and met all of our needs. Our project included flooring, sheetrock repairs, and other home improvements. The biggest project however, was our complete master bath remodel. We just can't say how much we love it. Good Job Carlos!" “One call we do it all is certainly the case. We did a complete remodel which consisted of an Electrical panel upgrade, Central air install, interior door installs, exterior windows, and sheetrock repair. The guys were very respectful of our home and very knowlegeable. They explained the whole process in detail and there were no surprises." 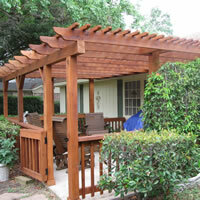 "My wife and I had been looking at getting a pergola for our backyard patio. Lonestar Home Solutions presented us with a very nice design, material breakdown, timeline to complete the job and most importantly, a fair price that I didn't feel I was getting elsewhere. 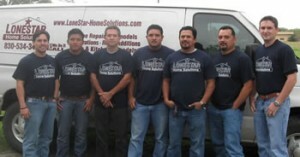 It was a no brainer hiring Lonestar Home Solutions and the results are still being enjoyed today. The job was completed in a timely manner and it definitely met my expecation. Before any work was done, Lonestar Home Solutions was quick to show me the quality of the material to be used, explained how the pergola would attach to my home and throughout the entire process, I felt very comfortable with the quality of work they were performing." From start to finish, everyone from Lonestar working on my pergula showed respect for me & my family. Based on the good results at a fair price plus the fact that Lonestar takes the time to explain the work, material to be used, and complete the work in a timely manner are reasons enough for me to hire this group again for future home improvement projects and I highly recommend them to anyone looking for good results at a fair price." "We have heard horror stories about contractors so we went to the Better Business Bureau. And that’s where we located LoneStar Home Solutions. They are a remodeling firm with their own carpenters. They are very knowledgable and helped us to understand how they were going to make our walk in shower last years. Our tile design has received so many compliments. It turned out better than we expected and it even wasn't our design. Thank you for your honesty." Lonestar Home Solutions is a full service design/build construction and remodeling company serving Central Texas including Seguin, McQueeney, And New Braunfels. We specialize in designing and building beautiful new spaces in homes and businesses such as new kitchens, new bathrooms, additions, and tenant build-outs for retail, offices, gyms, and restaurants.